Assembly Tools are one of three key components that make up Player Technology. LiveXML™ is an XML vocabulary developed by ObjectBuilders for representing business applications as documents. LiveXML documents are assembled using LiveIntegrator and LiveModeler, the Player Technology Assembly Tools. Applications described in LiveXML are run on the LiveXML Player. LiveModeler is a data abstraction tool used for aggregating data and functionality, as well as coordinating processes and transactions across back-end data sources and servers. The tool integrates and extends all back-end information into one business object model. Afterward, the information consisting of data and functionality can be seen and utilized as if it came from one comprehensive, global source. LiveIntegrator is the composite application builder that allows users to assemble and tailor custom business applications and services. 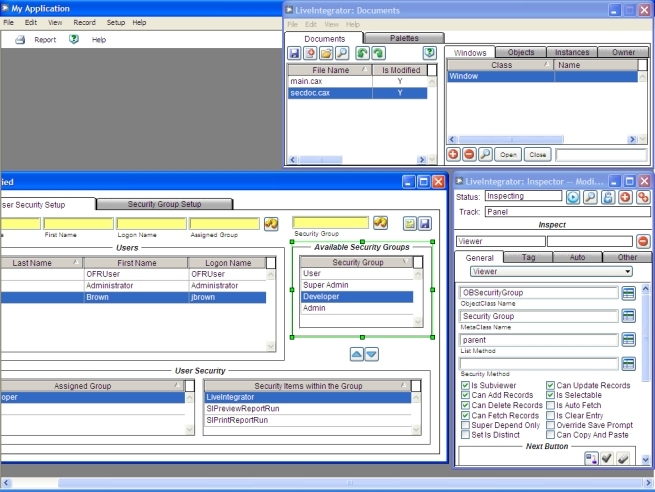 It is used to create business processes and user interfaces. This tool will leverage the documents created with the LiveModeler to greatly simplify the construction of an integrated solution. LiveModeler manages the Virtual Business Object Models (VBOMs) that drive a business solution. With the VBOM, you can link to existing middleware and extends the Model to add new features. 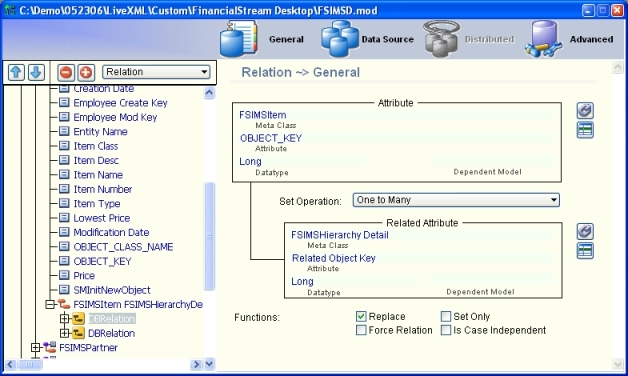 You can integrate disparate systems and data sources into a single technology-independent model represented in XML. Applications are entirely assembled from components. The player ships with all the functionality and module features you need to deploy a mission critical application. Business applications are more scalable, robust and flexible than other currently available products. Assemble complex n-tiered configurations once and deploy anywhere. Multiple databases, application servers, GUIs and more. Non-technical users can maintain and modify the system on the fly in an easy-to-use environment. Uses concepts from familiar productivity environments like MS Word, Excel and PowerPoint. New business processes can be assembled from existing processes, using standard methodologies without translation. The business knowledge from a 700-page custom application was effortlessly assembled into a business application in 60 days in the Software Factory™. Copyright © 2017 ObjectBuilders, Inc. - All Rights Reserved.